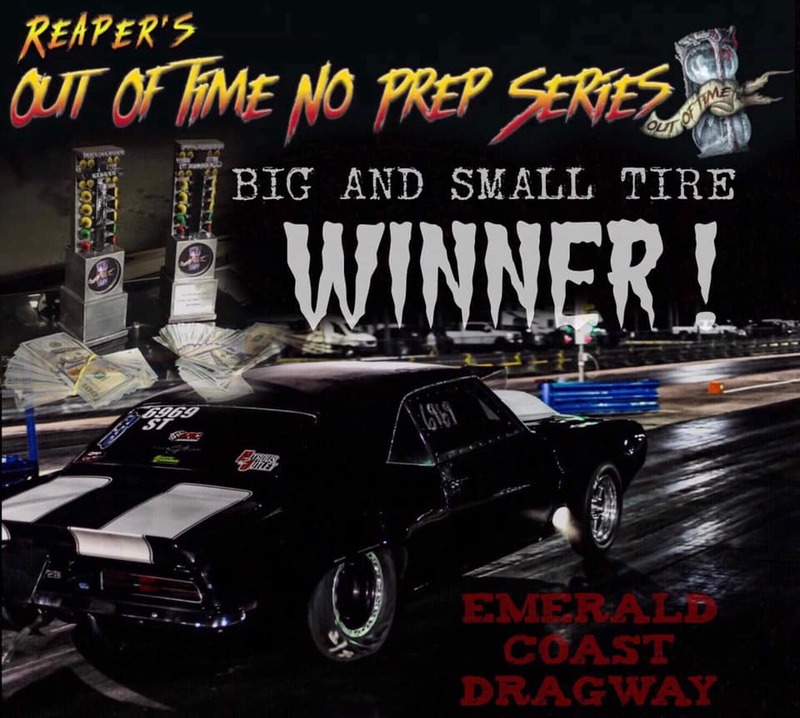 2019 Summit Super Series – RACE 1 – THIS WEEKEND! The weather for this weekend has taken a turn for the perfect after looking gloomy all week long. Many tracks in the area have already pulled the plug on racing due to the forecast so we might just have a few extra out of town racers joining us at ECD this weekend! See flyer for details, everyone is welcome to join us for the Summit ET Series and there’s bound to be a racing class you can jump in so get in where you fit in! SOUTH COAST N/T RACE 1 – THIS WEEKEND! Track will be hot Friday evening, all day Saturday & Sunday afternoon, ECD is the place to be Feb 8-9-10! 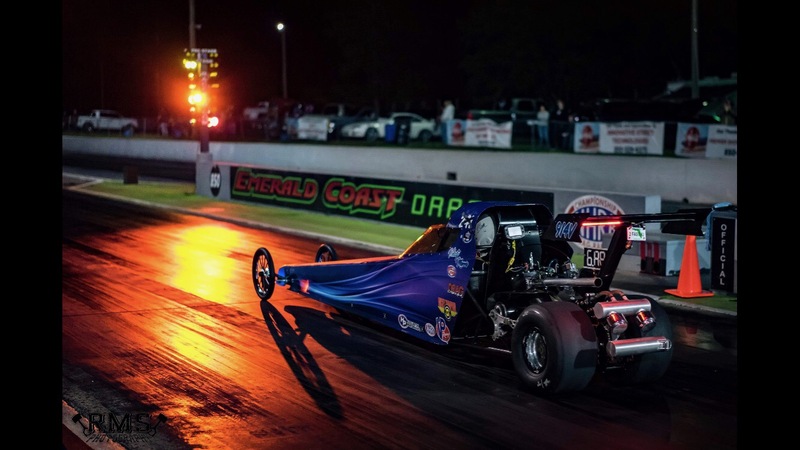 JR DRAGSTER CLASS ADDED TO SATURDAY SCHU RACE!!! 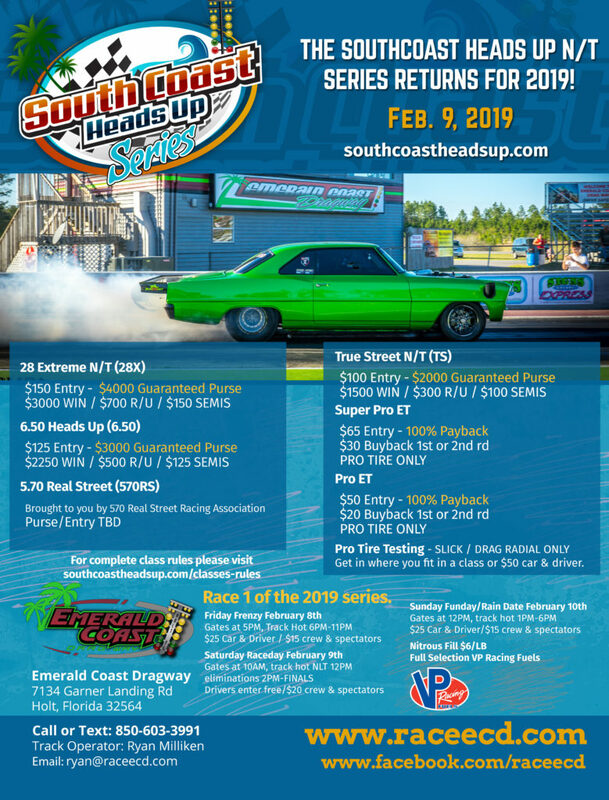 By popular demand we’ve decided to add Jr Dragsters to the mix with this weekend’s South Coast Heads Up Series season opener! $40 Entry // 100% Payback // $10 Buyback // HAVE FUN! OUT OF TIME NO PREP SERIES… ECD IN THE BOOKS! 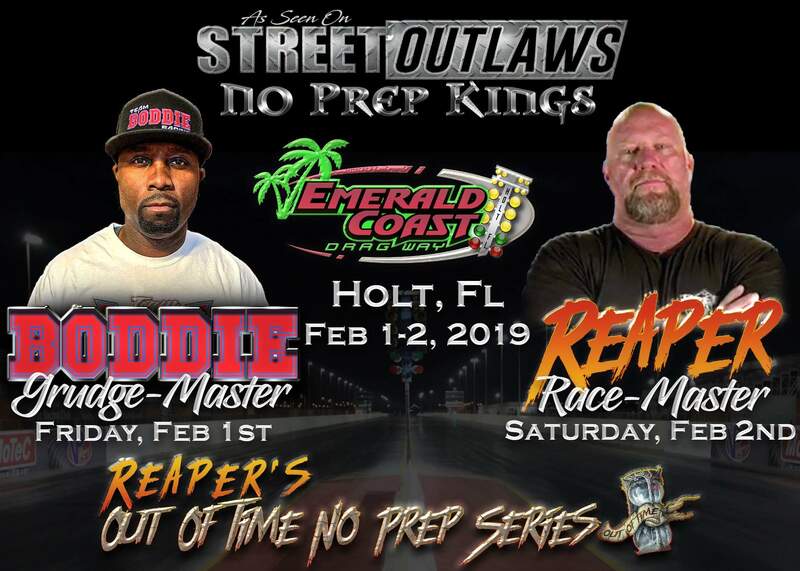 The first race ever for the Out of Time No Prep Series, brought to you by the one and only REAPER (James Goad) went down successfully in the record books this weekend at the Emerald Coast Dragway. Less than desirable weather conditions Friday evening ended up in a rainout with no cars going down the track for the side by side grudge portion of the show, so Saturday’s events kicked off with what was supposed to happen Friday night with before the heads up racing action got under way. The racing was intense with an afternoon full of upset after upset and cars pulling back to the staging lanes lacking their front ends and racing on borrowed struts & wheels since the wall their pass prior took those parts from them. Autographs were signed, hot dogs were consumed, cars got banged up & winners got paid, all in all it was a very successful day of racing! Congratulations to our winners & a huge thank you goes out to not only those who made the haul to race with us but our fans and most importantly James for affording us the opportunity to kick off his new series with him. 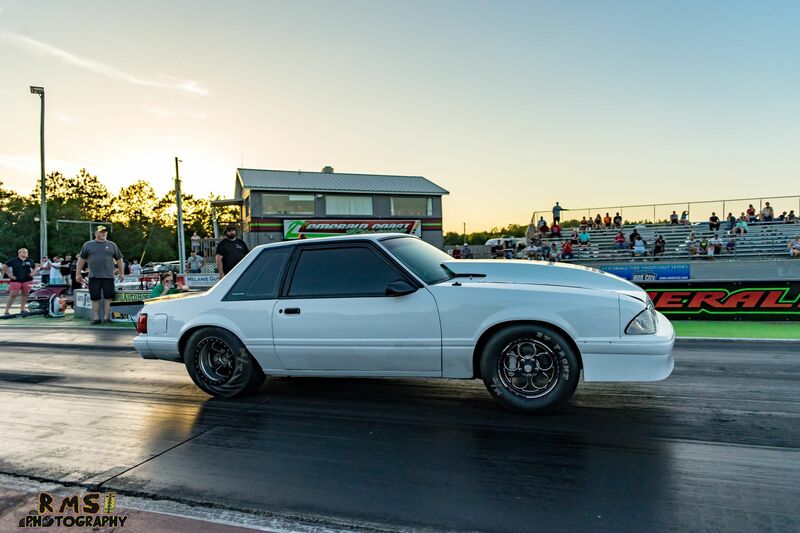 Join us next weekend for more heads up racing action, this time on a WELL PREPPED racing surface with a whole different set of FAST cars joining us for the season opener of the South Coast Heads Up Series. 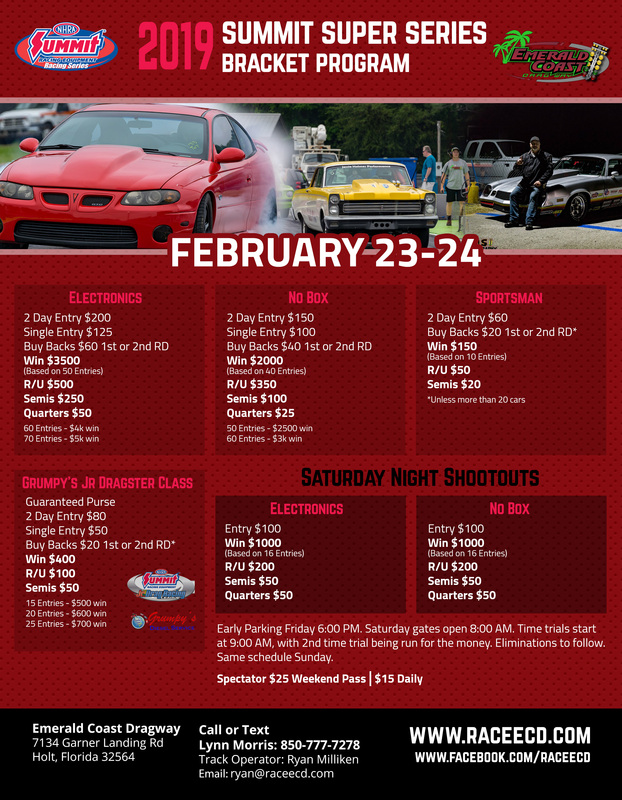 We’ll have A LOT of cars on property racing for guaranteed purses and series points as well as a decent amount of cars headed our way for testing on the small tire / radial prepped racing surface… see flyer below for more info!